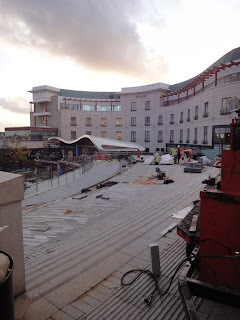 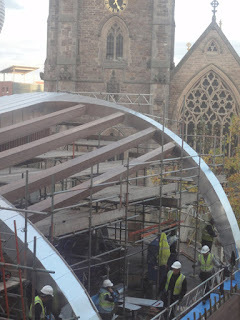 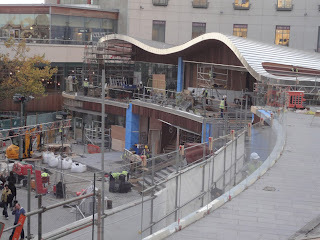 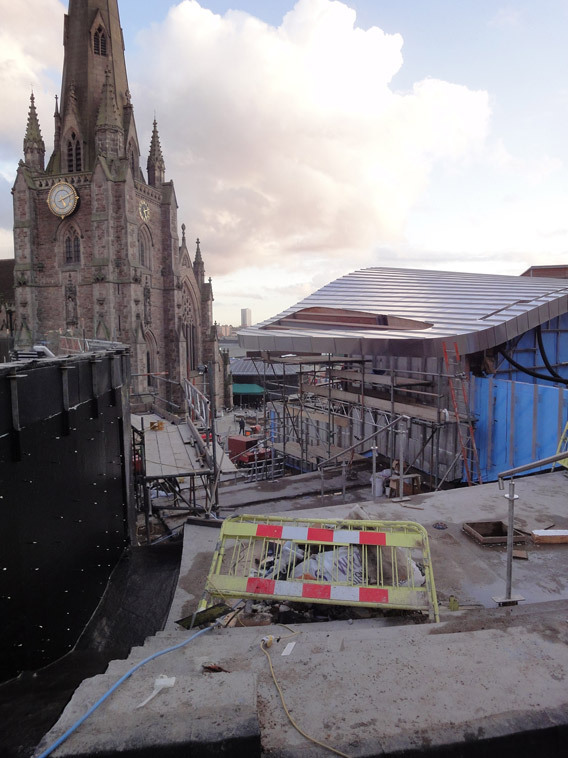 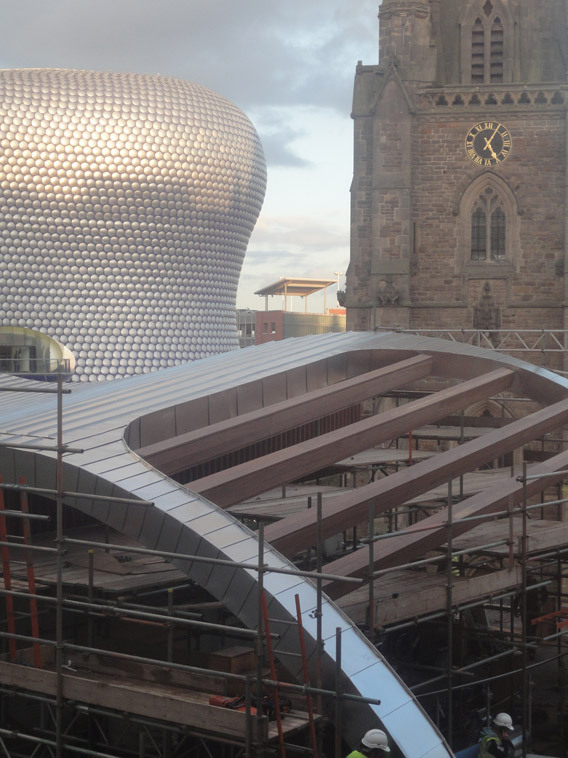 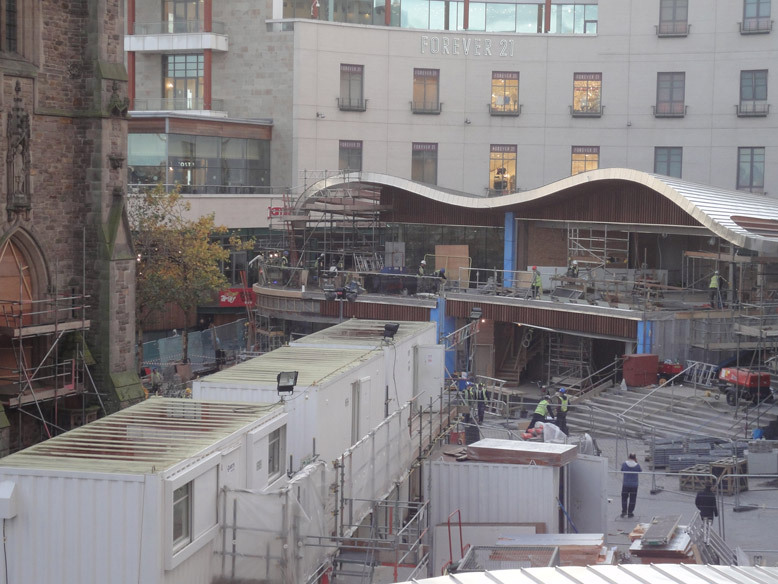 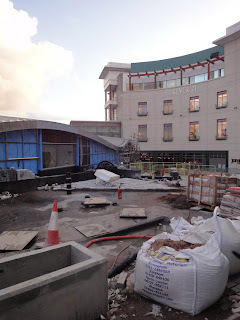 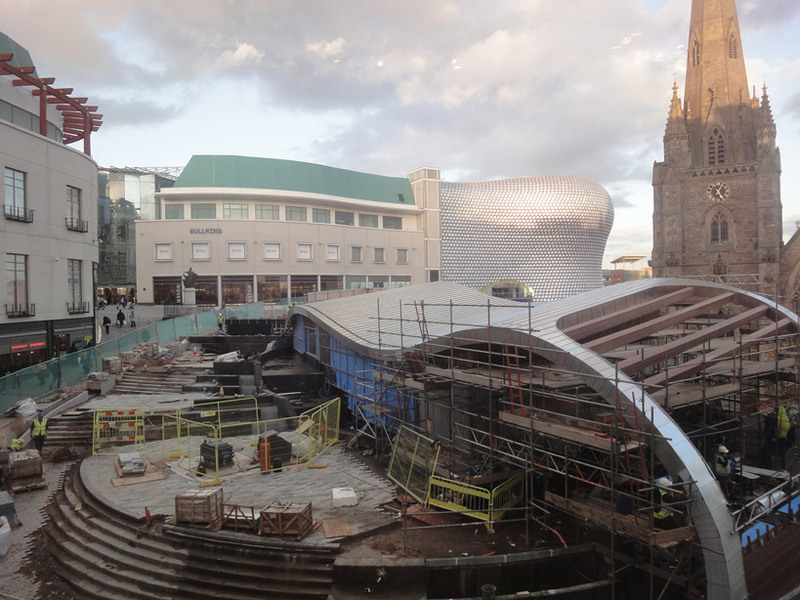 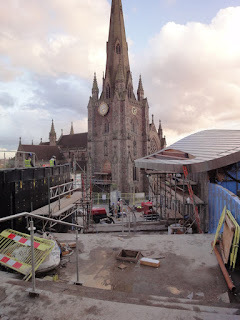 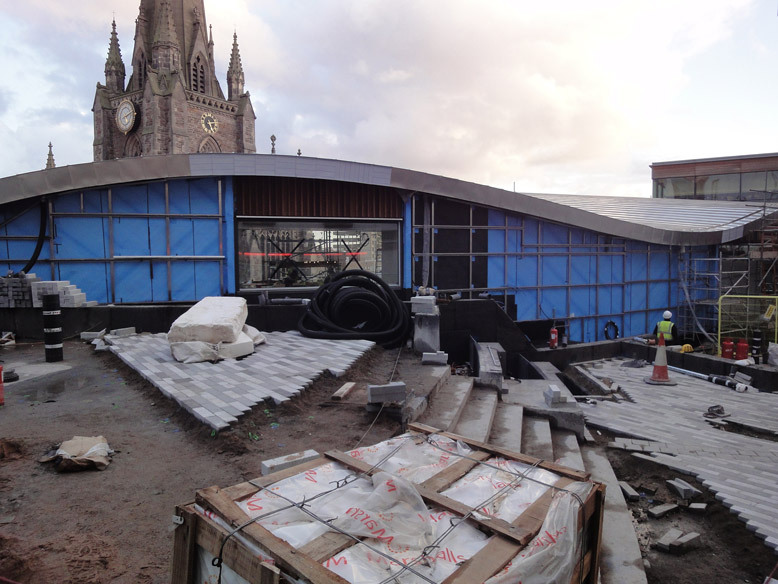 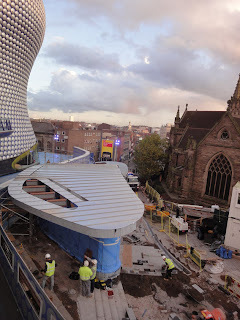 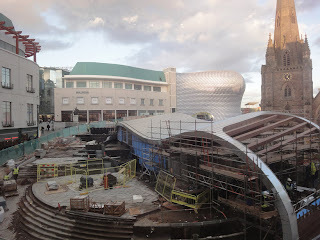 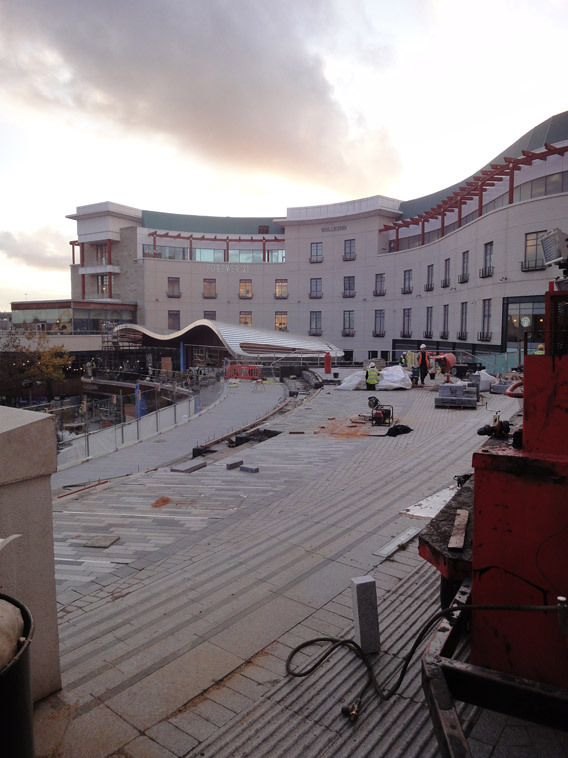 Here is an update on the Spiceal Street development following my previous update, Spiceal Street Bullring October Update IV, where I noted the imminent opening of the development on 24th November. 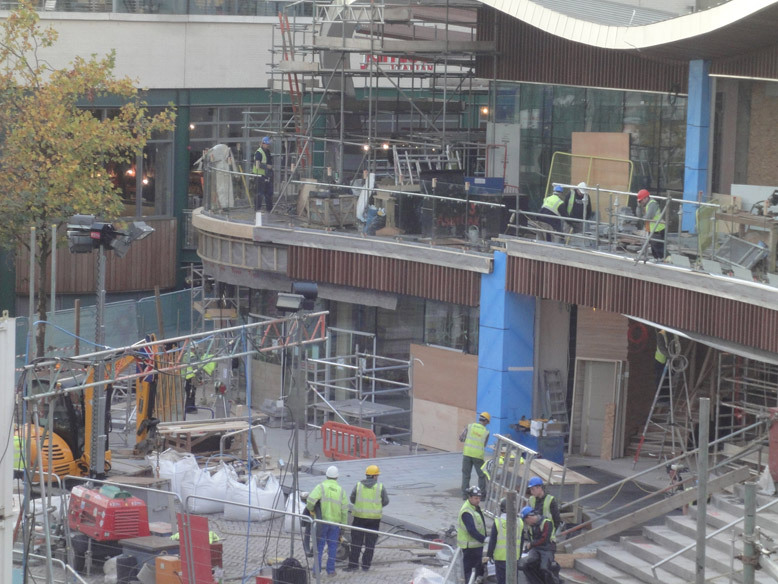 With the opening in less than three weeks the Birmingham Mail took a sneak peek and revealed that thirteen restaurants applied for the units next to Jamie's Italian and Mount Fuji with ChaoBaby, Browns Bar and Brasserie and Handmade Burger Co. being successful. 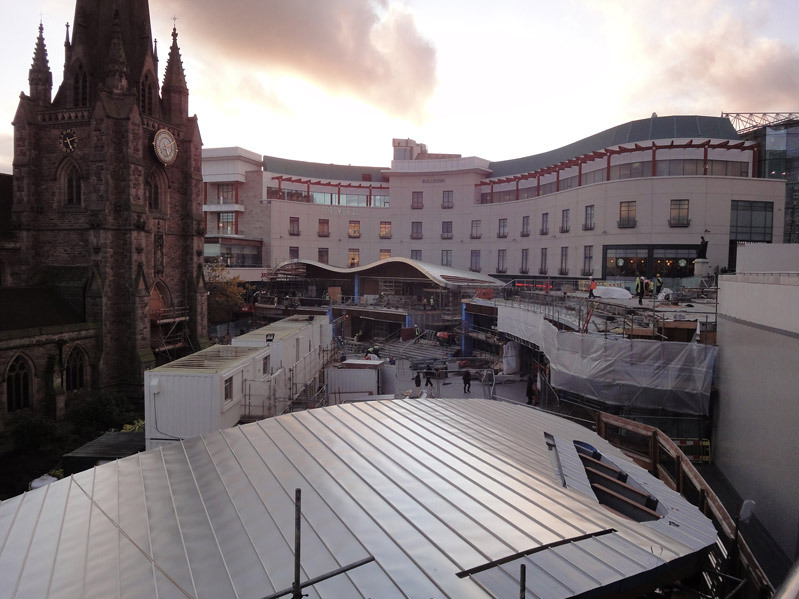 Spiceal Street was originally known as Mercer Street and changed its name to Spicer Street at the end of the 1700s. The re-naming was due to the growing grocery and meat trade, which had begun to take over from the cloth trade. It was renowned for its fresh produce. 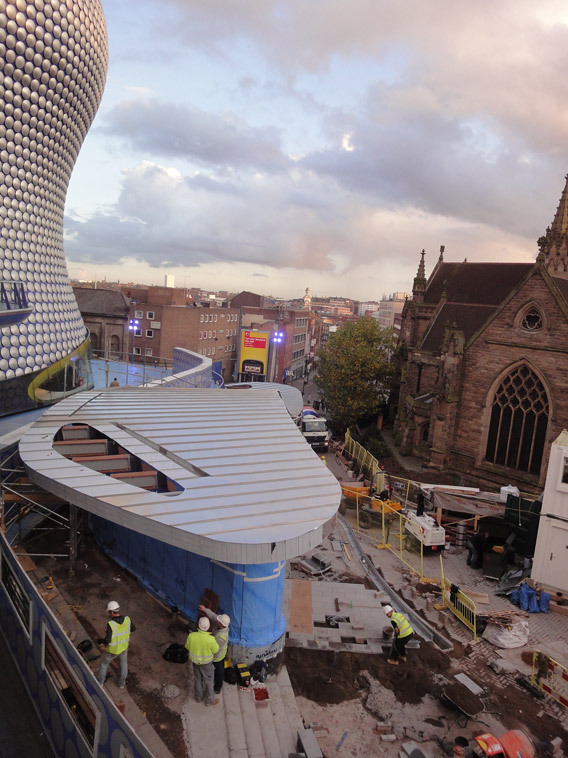 Russell Beresford, project director at developers Hammerson, said: “We identified a gap in the market for an evening destination in Birmingham. 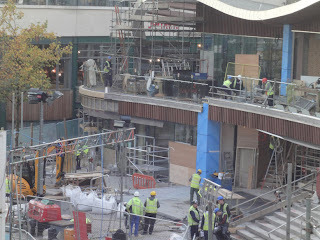 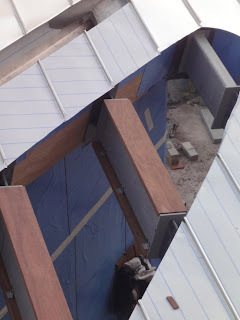 Photos of the site from the 1st November are shown below.